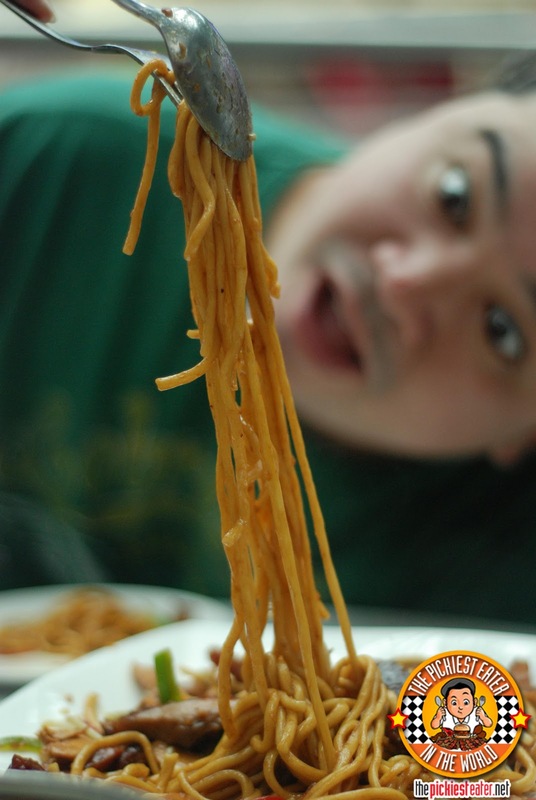 THE PICKIEST EATER IN THE WORLD: SINGAPORE DAY 1: FIRST STOP - CHEN FU JI NOODLE HOUSE! 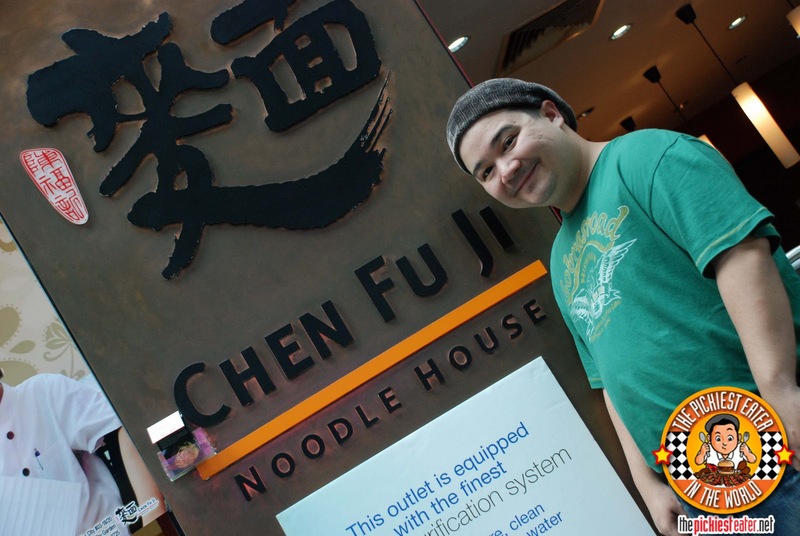 SINGAPORE DAY 1: FIRST STOP - CHEN FU JI NOODLE HOUSE! Since we were traveling to a country we were unfamiliar with, for the first time in my life, I found myself totally lost when Rina and Chaikka asked me, "Where are we going to eat?". All I knew was that we had to be at "The Singapore Flyer" by 1:30pm to start our tour. Where that was, and how long it would take to get there, I had absolutely no clue. I asked our receptionist Charmaine, (who after our 15 minute English dialogue, ended our conversation with a very Filipino, "Salamat po, ingat po kayo!") what would be the best place to grab something to eat before we went to the Flyer. She suggested going to Sun Tec City Mall, because we would find a lot of choices there, and we could easy grab a cab en route to the flyer. As mentioned in my earlier post, everything you've heard about Singapore is true. It's sparkling clean, it my four days there, not once did I find myself caught in any form of traffic, and whether you're commuting or driving, there's a strong sense of discipline among its people. We got to Sun Tec City Mall at around 11:30am, and started going around, trying to find a place to eat. I wasn't really impressed with the choices, especially since Charmaine made it seem like it would be a food paradise. (I would later find out that she wasn't lying, but that's a whole other post) Since were were pressed for time, we couldn't explore the mall, so I had to make a choice right away. 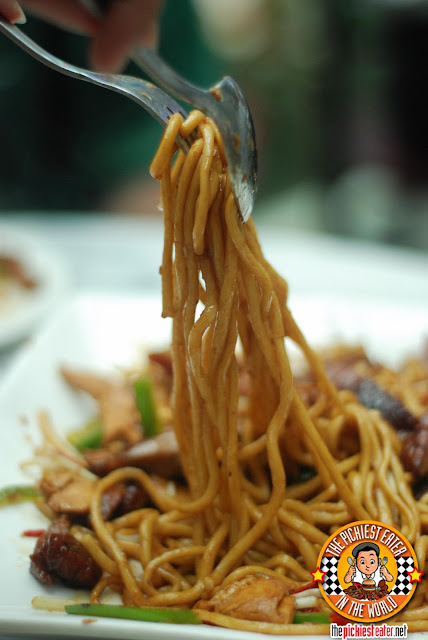 With the clock ticking, and my wife and her sister's stomach growling, I decided to go with Chen Fu Ji Noodle House - The restaurant with the best tasting noodles I would try in my short stay in Singapore. Though our country has a lot of shortcomings, especially when placed side by side compared to Singapore, Mall development is definitely not one of them. I'm proud to say that in my humble opinion, the malls we have on our shores, (especially Ayala ones) such as Greenbelt and Trinoma and Mall of Asia, could easily stand toe to toe with some of the best Singapore has to offer. Maybe I haven't really seen the best of what they have to offer, but based on what I saw, its hard to believe that we've been left far behind on that aspect. Anyways, what I'm getting at is, Sun Tec Mall is perhaps the most confusing mall I've ever been to in my life. There's so many 'Towers" to it, and it's hard to remember what store you saw where. If you passed by something you wanted to buy and decided to just go back for it later on - good luck to you trying to find it again. But I must admit, it was a rather serviceable central point for our trip. I decided on Chen Fu Ji Noodle house, because I believed, since we were going to be on the road all day, It would be best not to fill up our tummies to the brim. I thought we could just order a few dimsum to tide us over till we could find a hawker place, or something like that where we could pig out to our hearts content (as if we wouldn't be doing that anywhere else). Was that Ketchup or Chili Sauce? Getting right to business, Chaikka ordered the Deep Fried Shrimp dumplings. I'm not too keen on shrimp, so I didn't give this a go. Rina found the skin to be a bit too thick, and slightly overcooked. I actually broke off a piece from the skin and gave it a taste, and yeah, it was tough to break away from the actual dumpling (I was tempted to ask for a hammer and chisel). This could have been easily solved if the dumpling wasn't overcooked. Their Pork Siomai didn't look anything spectacularly different from your usual Chinese fare, but it was much better than a lot of Siomai's I've ever had before (And I've had A LOT, I promise you that). 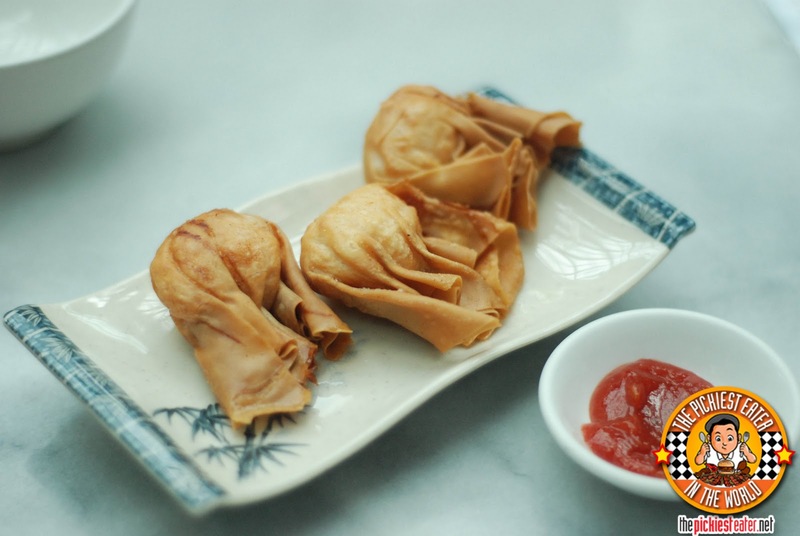 The texture of the skin was smooth and though the size of the Siomai wasn't much different than your standard ones, this one seemed a lot meatier, and more flavorful. 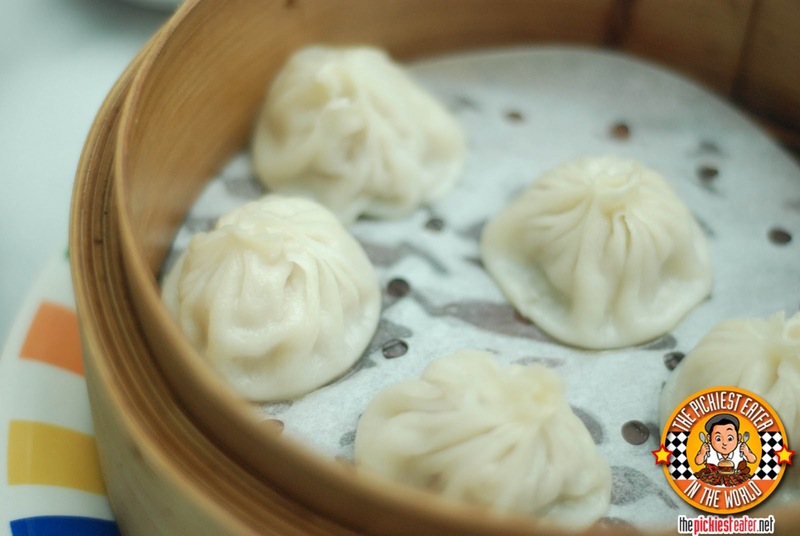 As soon as Rina saw "Xiao Long Bao" on the menu, she knew what she wanted to order. She had been craving for it since our trip to Crystal Jade, and hasn't had it since. The only problem with this Xiao long bao was, despite the thick wrapper the soup was enveloped in, it didn't seem to be strong enough. I got a total of two pieces. 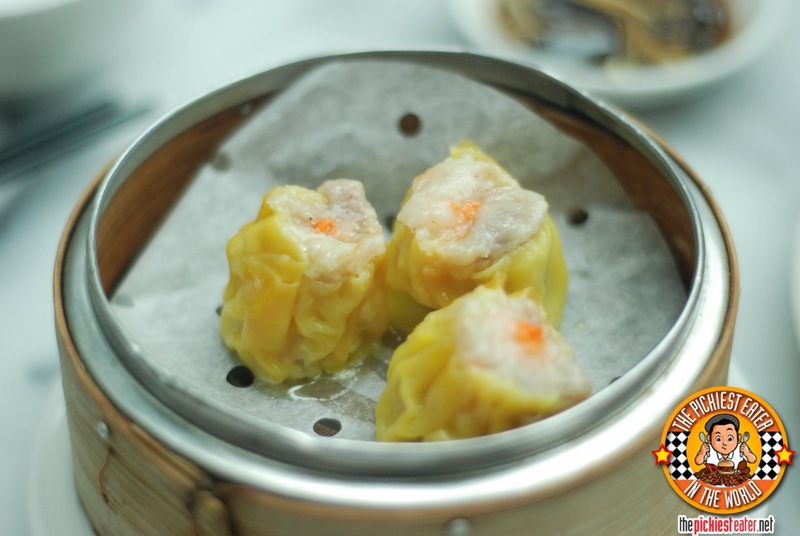 My first piece gave me a wonderful mouthful of soup, after my first bite, while my second - well, I think it found its way to the bottom of the dimsum tray, even before I could scoop it up. Which was a shame though, because it would have been rather delicious. I found their Steamed Spare Ribs with Black Beans to be rather lacking in flavor. Even just by looking at it, it looked lifeless and anemic. I think they could have used better cuts, (meaning less bone) and the sauce was too watery. You are now looking at the best noodle dish I ate at Singapore, which is the Fried Beef Noodles with Mushroom. THIS is EXACTLY the type of noodles that I was hoping to get from Singapore, and I found it on my first try! 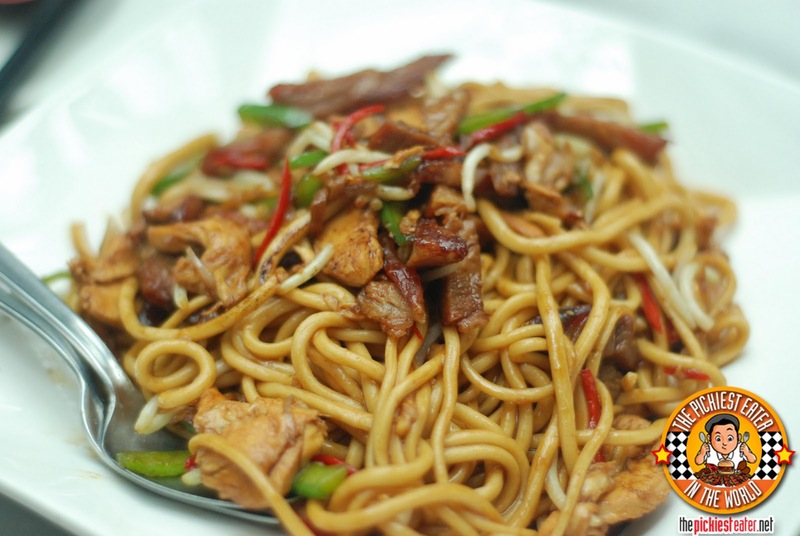 First off, the texture of the noodles were again, fantastic. It had just the right amount of thickness, and refused to separate when lifted up. 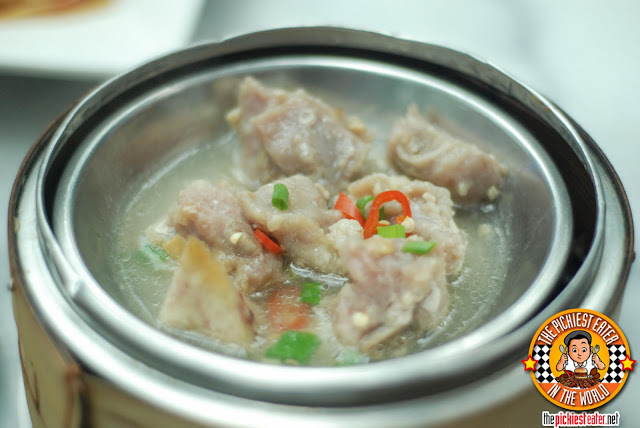 It was beautifully coated with its sauce, that had the perfect blend of sweetness and a just right spicy kick. Even though I said I wouldn't eat too much (I was worried about getting an acid attack in the middle of my tour), I couldn't help it. I had to make sure every single bit of the plate was completely devoured. The bill, just like the food, took a bit longer than I'm used to (Although it's possibly that since we were in a hurry, the wait seemed longer). Other than that, it was a rather uneven performance that was made up for in the end by one game changing dish. I would definitely go back for those noodles! 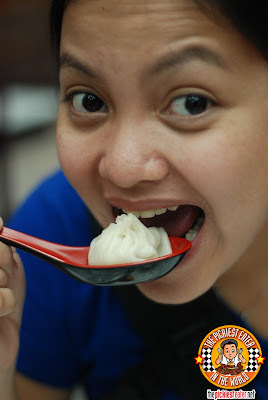 Never get between a pregnant woman and her Xiao Long Bao! These were really amazing noodles. 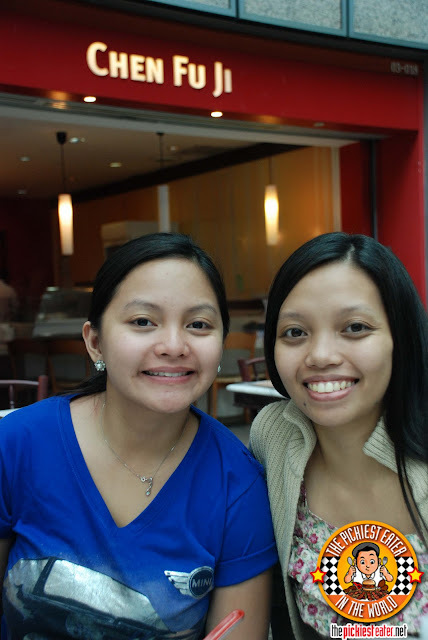 The Barbero Sisters in Singapore! it's so hard to keep up with her, direk! Every day its something new! from dinuguan to pancakes to corned beef to xiao long bao!